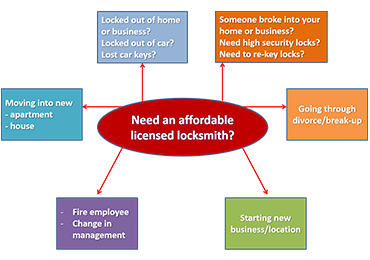 Looking for a Licensed Local Locksmith? Half Price Locksmith is a licensed Miami-Dade locksmith service and therfore the locksmith that answers your call and attends to your needs will be fully qualified and a skilled locksmith. We are based in the North Miami Beach area and offer a fast 24hr response emergency service to the North Miami Beach area and its surroundings. We are committed to meeting our customers needs by providing a 24hr No Call Out Charge with fixed prices and a competitive service! We understand that whatever the time of day or night, your time and more importantly your safety is #1. We can provide a fast service 24 hrs, 365 days a year at realistic and competitive prices. Once your call is made we will aim to have a locksmith to your door within 15-25 minutes, making your problem one less thing to worry about. 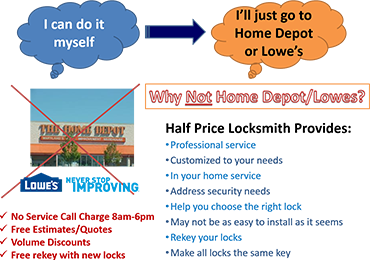 Fast Locked out Service All Types Of Locks Installed Mul-T-Lock, & Pick-Resistant Master Key Locks, Auto Locked out Service, Auto Locks & Ignition Locks, Safes Opened Combinations Changed, Install Doors.